AMC Consolidated first product was pallets. These slaps that carry products are produced in the industrial area of Phoenix Arizona, but our product can be shipped internationally. We produce pallets that meet our customers’ high standards and shipment regulations. Pallets are an important product that allows for products to be easy moved, stored, and shelved. When the United States entered World War II the need for material handling reformed overnight. Palletization was an enormous opportunity to help the armed forces do more with less. AMC Consolidated produces high quality pallets meeting local and international regulations. We have sent pallets worldwide and look forward to assisting your company with your material handling needs. Please contact Ed or call 602-233-9800 for further assistance. When ordering pallets there are many items that must be considered. Understanding the terms will assist with providing you with the exact pallet and requirements needs for shipping and moving of your products. This list will provide many terms to assist with your ordering process. 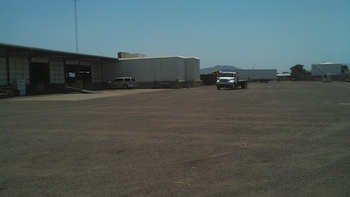 AMC Consolidated provides onsite heat-treating pallets for international shipment, Peco pallets, and pallet production. We have the expertise to meet your product shipping needs and expertise of pallet production. We can assist with your questions regarding your pallet order. Contact us today. AMC Consolidated AMC Consolidated was purchased by IBS, Inc. in 1990. 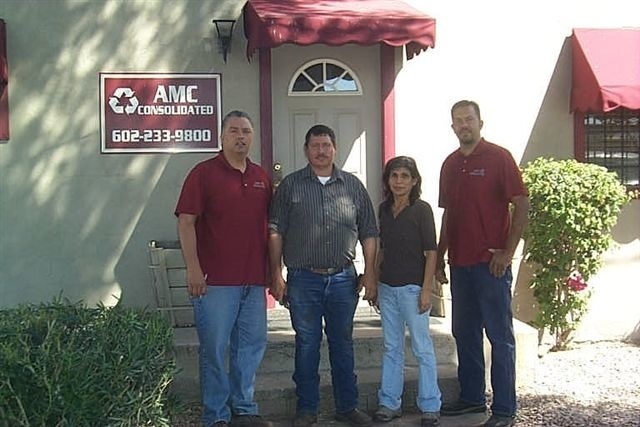 This mission was then established, “We work for you.” AMC Consolidated’s goal of high level of service at a reasonable price was set in place. The 1990’s brought about some changes for AMC Consolidated. The company began to look at how the company could reduce waste and increase recycling. These changes fit the mission protecting the environment and expanding their product line allowed for the customer to meet their needs at one location for wood products. 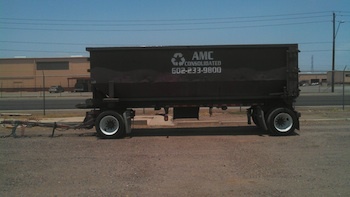 The company added Roll-Off trash removal services. This fleet of trucks contains open top containers, over the road tractors, 48’ flat bed trailers, and 53’ dry vans. This allowed for our company to handle most materials from construction, landscaped, cardboard, paper, plastic etc. This increased our ability to encourage recycling and assist our customers with that need. This allowed for us to meet our second goal of recycling our products and giving our customers the option to recycle at a reasonable cost. 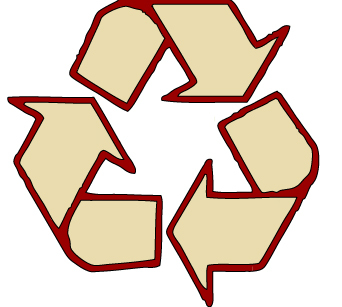 We began to recycle our wood products for use as landscaping mulch, playground covering, and trail covering. The allowed for us to continue to work for our customers they could obtain their wood shavings and mulch products at our location. This allowed us to meet our second goal of eliminating waste and reusing our products. 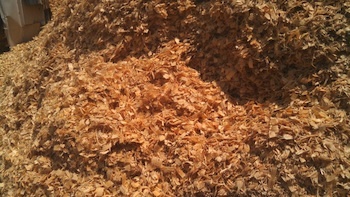 This mulch is known throughout the Phoenix valley. 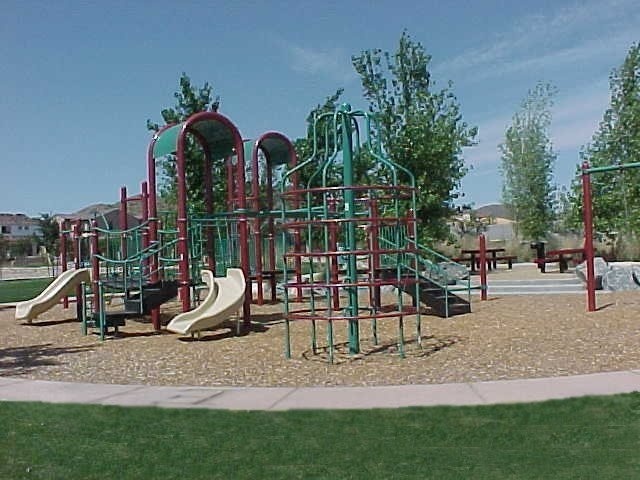 We have our products in development and school playgrounds, as well as numerous homes. 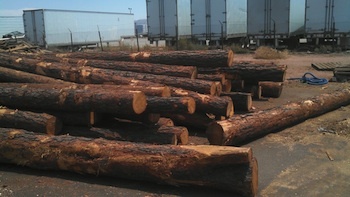 AMC Consolidated began creating and mixing our arena/horse bedding from new wood that was at the pallet yard. This allowed for us to expand our product line and increase our customer satisfaction with our variety of products. The bedding is found in many local boarding and arenas. This continued to allow us to work for our customers. The new millennium brought about new opportunities with Peco Pallet. This increased our ability to work with our customers and increase our customer base. We began heat-treating pallets to meet international regulations. We currently have the only kiln in the Phoenix area for the sterilization meeting the IPPC international standard. We received minority owned business status. Pallets are our passion and we continue to provide quality pallets to our customers around the Phoenix area, U.S. and internationally. We continue to find ways to ensure that our pallets meet the current guidelines, standards, and customer stratification. Our customers have provided us with the ability to continue to increase our product line and services. 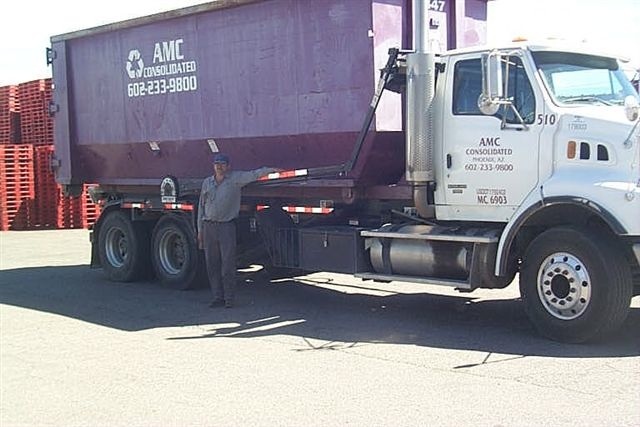 They continue to provide feedback and information that allows us to continue to improve our company and meet our mission, “we work for you our customers.” We would like to say thank you to our customers for making AMC Consolidated a great company without your continued support we would still be only pallets. Please feel free to contact AMC Consolidated for further details.